Post your best chemistry joke in the comments section. Please keep them at least PG-13. My Mom reads this stuff. Q: Why do chemists call helium, curium and barium the medical elements? A: Because if you can’t helium or curium, you barium! Q: Why should you go to a chemist for your problems? A: Because they have all the solutions. A: They are cheaper than day rates. When my wealthy aunt died, I got all the antimony! Q: Why can’t you believe anything atoms say? 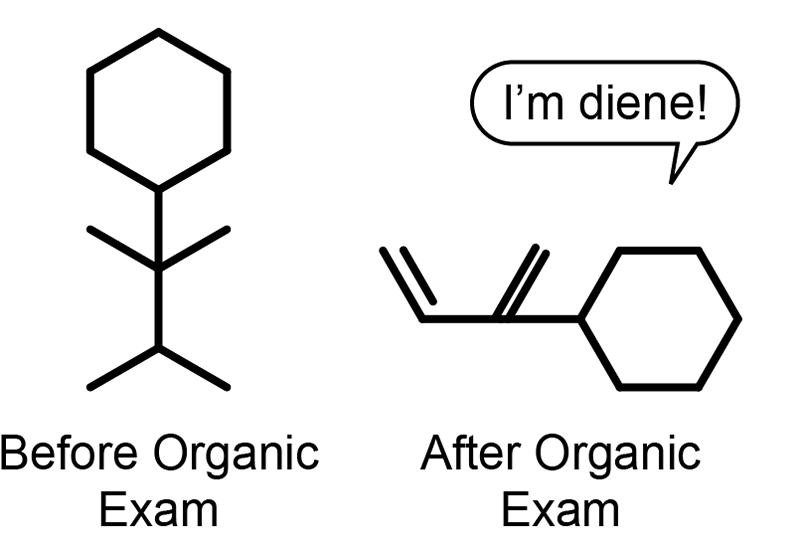 Organic chemistry is difficult. It causes alkynes of problems. Q: How can you tell the chemist in the restroom? A: He washes his hands BEFORE he goes. Q: What can you make with 6.023 x 1023 avocados? Q: Why was the mole of oxygen molecules excited when he left the singles bar? A: He got Avogadro’s number! 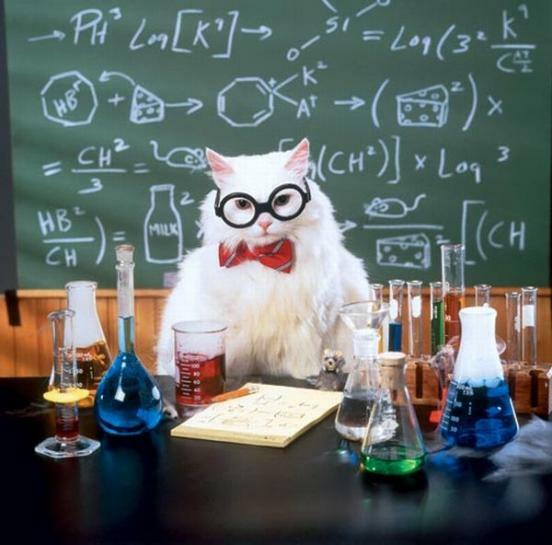 Poor Willie worked in chem lab. Poor Willie is no more. For what he thought was H2O was H2SO4! The optimist sees the glass as half full. The pessimist sees the glass as half empty. The chemist sees the glass as completely full, half in the liquid state and half in the gaseous state. Q: What do cowboy chemists say to their horses? Q: What is the molecular formula for coffee? Q: What is the molecular formula for banana? Q: Why do chemistry teachers like to teach about ammonia? A: It’s pretty basic stuff. Two chemists enter a bar. The first orders H2O. The second says “I’ll take H2O too!” and died shortly after. A: It’s FOR drinking, bathing, washing, swimming and mixing with scotch. Q: What kind of fish has two sodium atoms? Q: Why did the white bear dissolve in water? A: Because it was a polar bear. I’d tell more chemistry jokes, but the best ones argon.